Can You Believe What You Read? I have a link on this site to the English Language edition of Al-Ahram, Egypt's most widely read and largely government owned newspaper. I suppose the science fiction story section of Al Ahram doesn't get translated in the English Language Edition. But this gives you some idea why Egyptians have some strange ideas. 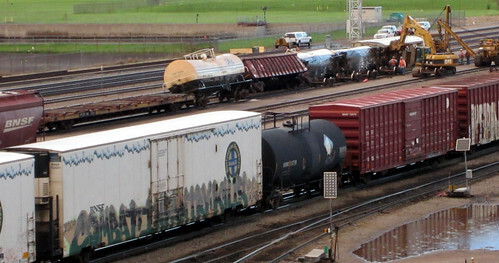 This has been a bad summer in the upper Midwest for storms. 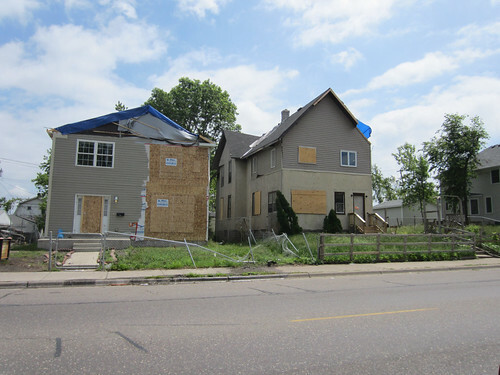 While things were calm here in Bloomington on May 22nd, North Minneapolis was struck by a full F2 tornado. 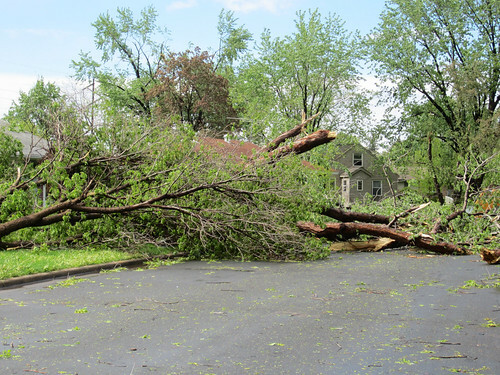 Across the Mississippi river and a bit further north, another tornado struck in Fridley. That's mom-in-law's house behind the trees on the left edge of the picture. Mom-in-law has lived here for over 55 years and watched that tree grow from a new planting to ... She only needed a new roof, gutters, some siding and interior Sheetrock work to get back to normal. 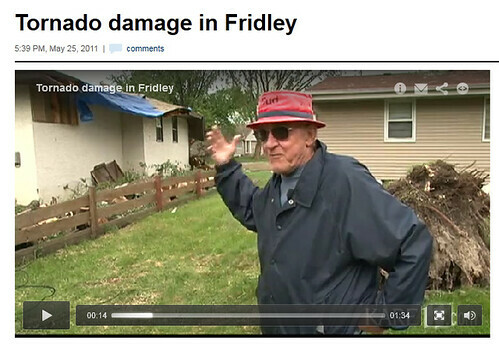 Here is another long-time resident across the street from her describing the damage to one of the local TV stations. 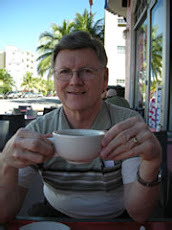 Unfortunately, that neighbor, Tony Mack, suffered a fatal stroke a couple of weeks later. 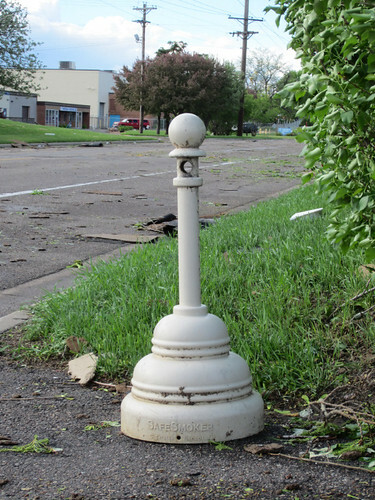 I count him as a storm casualty even though it will never show up in official statistics. 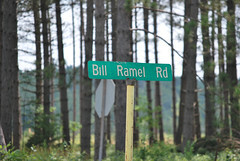 Then on July 1, a storm struck near our cabin in Northwest Wisconsin. 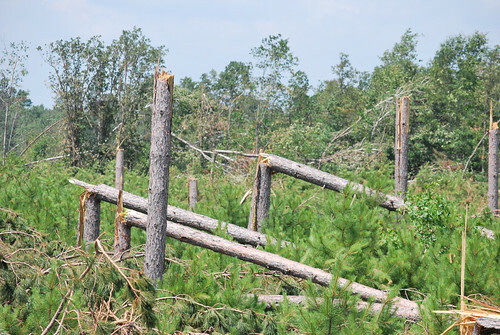 Soon we learned that the winds included another F2 tornado that touched down a few miles Southwest of Solon Springs. Hey! That's our neighborhood! 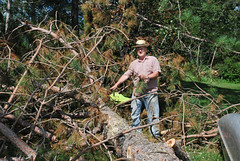 Soon we had an e-mail from our neighbor at the lake with pictures of large trees down on our lot. 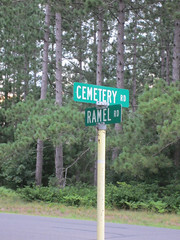 It's a bit hard to describe just where the tornado hit near Solon Springs, but if you start out at the corner of Cemetery and Ramel and drive over to the intersection of Ramel and Bill Ramel roads, you'll be close. 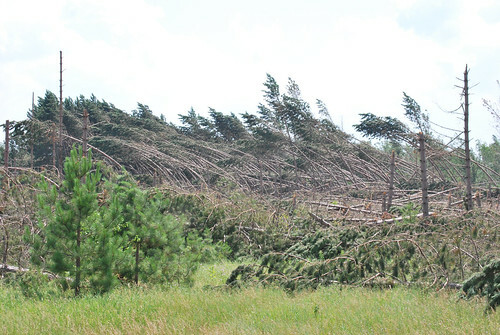 The storm damage in this area can be seen all the way along the highway from Hinckley, MN eastward to Danbury, WI and then northeast toward the Gordon/Solon Springs area. 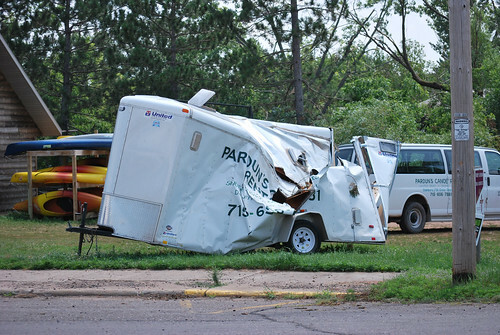 At Riverside Landing, a canoe landing in the St. Croix National Scenic Riverway a few miles north of Danbury on Wisconsin Highway 35, massive trees littered the launching area and had crushed a trailer belonging to Pardun’s Canoe Rental and Shuttle Service of Danbury. Two buses from Pardun’s were trapped in the launch area, unable to leave because of downed trees blocking the exit; one bus had a smashed windshield. Guy Pardun, owner of Pardun’s Canoe Rental and Shuttle Service in Danbury, said his company was just getting a group of 20 canoeists into the river Friday night when the straight-line winds came through. Toppled trees crushed the vans but, amazingly, no one was hurt, he said. It took chainsaws and backup transportation to get the would-be canoeists and campers to his home, where they slept on the floor and on beach chairs, Pardun said. 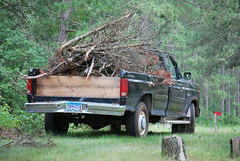 The result was a lot of work for me with the chain saw and good old Black Beauty, the 1985 Ford F250. 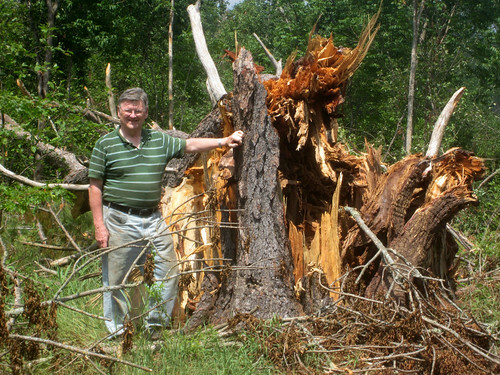 I've taken about fifteen loads of brush and limbs to the Gordon town dump and stacked several years supply of firewood. What is it? It's an ashtray. 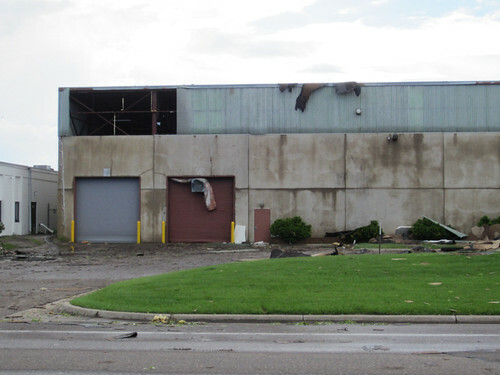 This warehouse across Main Street had a break area near those new "windows" and the wind moved the ashtray across the street to a new location.